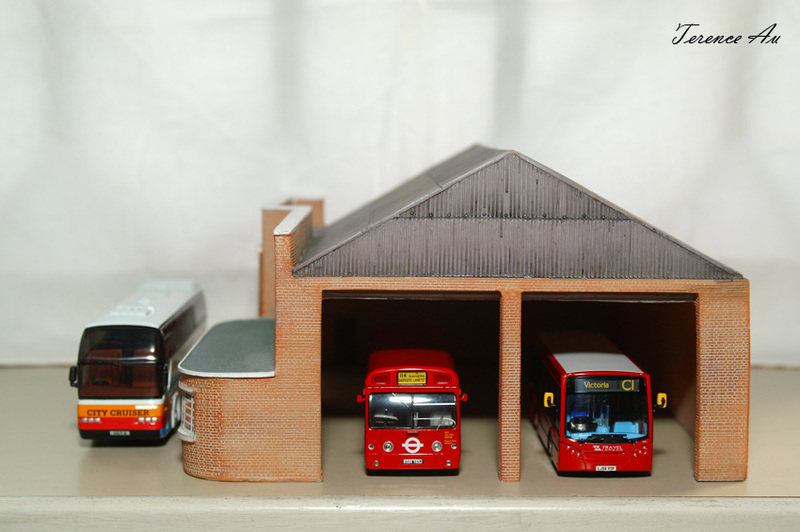 The Site Admin has yet to seen a detailed review on Bachmann UK’s item 44-074 ‘Bus Depot’ for OO-Gauge (1/76) diorama/models online. Tried searching around for photos before buying, it was equally hard. There is a thread on RM Web forum, but a few photos don’t do justice to this 36 UK Pounds apiece diorama that has a unique design and touch to it… Well the Site Admin shall put stops to this and post his own review of the diorama piece. 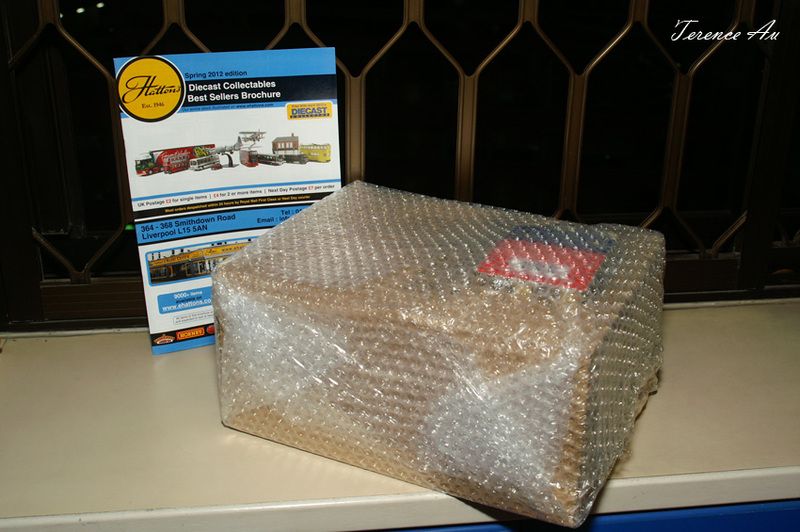 As with all orders from the United Kingdom, the Site Admin prefers Ehattons.com, a online store by Hattons Railway Models Company. Old ginger is sure spicy, hence the well-packaged and sealed box. 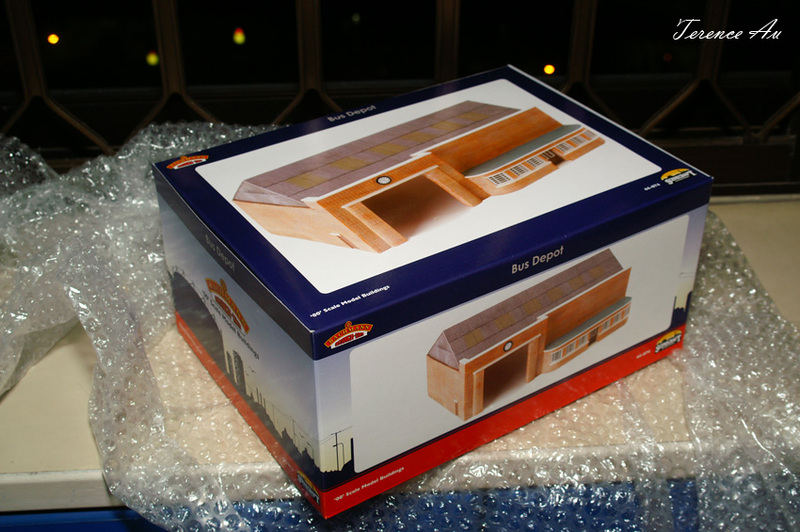 The model is contained within a standard Bachmann UK ‘Scenecraft’ designed paper box. Non-standard is the size and weight, a heavy 1400 grams! It does not come with instruction sheets, neither a limited edition certificate. What is understood that the model is made in limited runs, neither does Hattons have them all the time. Bachmann UK products are Made in China. 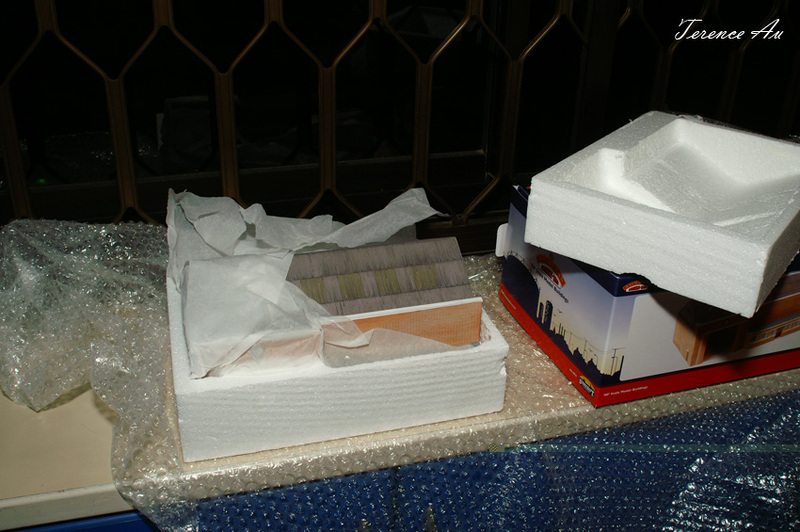 The model is secured in double Styrofoam boxes and arrived undamaged. The front facade of the depot. The opening at the left can only accommodate to buses with actual height 4.3 meters and below. Full-sized double deckers such as Volgren MAN buses from Hong Kong cannot enter/exit. The office is modeled on the right, with a resemblance to the ‘Art Deco’ station and structures from Bachmann UK. The era dated for the depot is around 1930s-1950s. 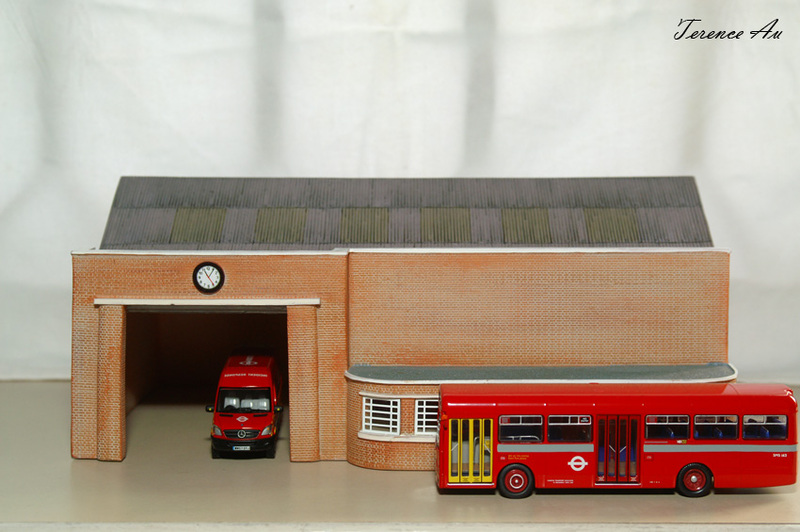 Catering to easy access, the depot is also designed with twin side entrance/exit, where models can be placed with similarity to a fire station. The ‘shorter’ opening is prime for single decks, so illustrated by SBS Transit’s Scania K230UB and KMB HK’s Alexander-Dennis Enviro 200. Putting the side entrance/exit to the test are three deckers from Hong Kong, none of which crossed paths on the roads, but could meet together in the modeling world! 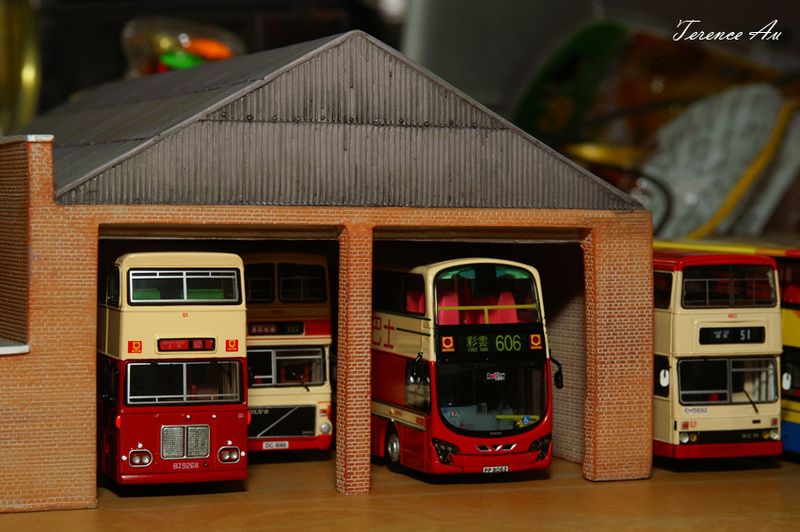 A further illustration using the tallest models, the Volgren MAN 24.350 city bus from Hong Kong. 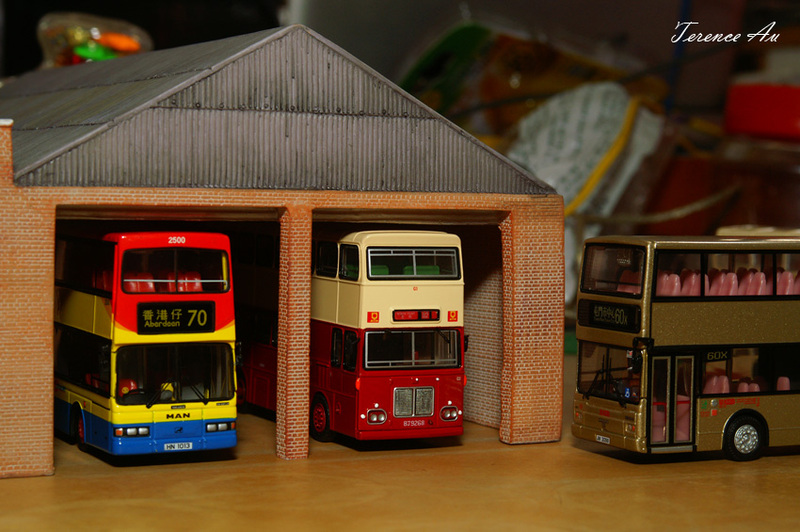 The Bachmann UK item 44-074 ‘Bus Depot’ can be purchased from Ehattons.com, the retail price as of July 2012 is 36 UK Pounds. 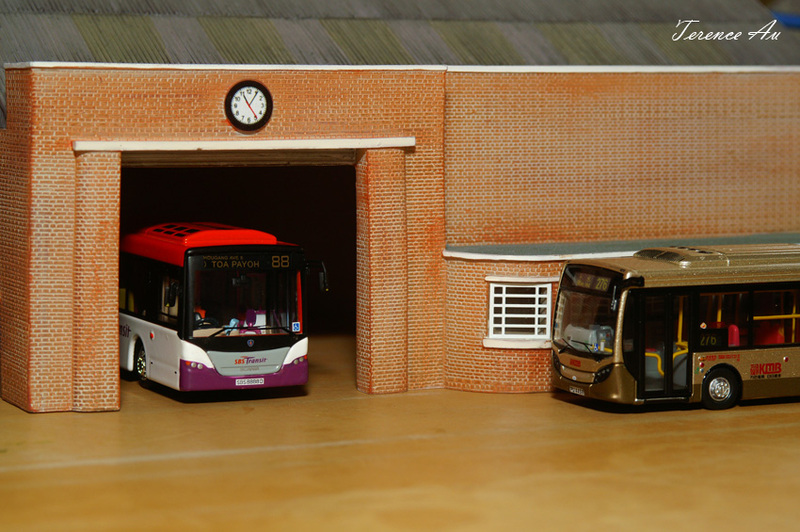 Models used herein to demonstrate the depot may not be owned by the Site Admin. 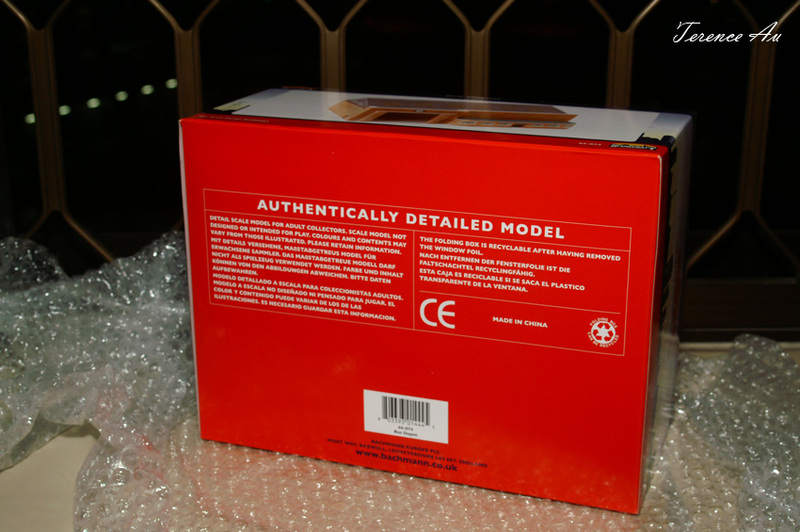 The Site Admin is appreciative for the modelers who gladly loaned their models for the photos used in the review.